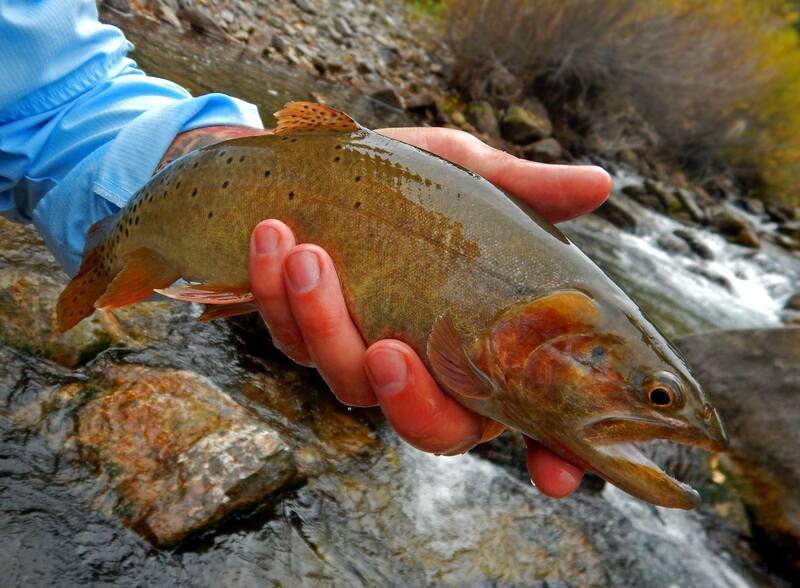 Utah streams offer excellent year-round fishing opportunities for every level of angler. According to the Department of Natural Resources, Utah’s waters are home to approximately 80 different species of fish, but it is the trout fishing that is the biggest attraction for fishermen. Of the trout species swimming in our rivers and lakes, the cutthroat trout is a local favorite and the only trout native to the state. The cutthroat trout represents the most diverse trout species in North America. They are a freshwater fish of the Salmonidae family that live in cold, clear streams and lakes across the west. Cutthroat trout are distinguished from other trout species by two red slashes prominently striping the lower jaw after which they are named. All cutthroat trout share a single common ancestor, but historic population isolation gave rise to 14 subspecies, each endemic to their own geographic region and river drainage. There are four subspecies that exist in Utah. Only three of these are considered native to the state: the Colorado River cutthroat, the Yellowstone cutthroat, and Utah’s state fish, the Bonneville cutthroat. In Utah, the Colorado River cutthroat trout can be found in some of the smaller streams and tributaries of the Green River, the San Juan River, and the Colorado River drainages. Their bright coloration and posterior black spotting distinguish these cutthroats from others. Pure, native Yellowstone cutthroat trout are present in small numbers in the streams of the North Slope of the Raft River Mountains in northwestern Utah. However, this subspecies is more widely distributed across the state due to extensive stocking. Yellowstone cutthroat trout can be differentiated by larger-sized black spots concentrated near the tail and their gold, gray, and copper tones. The Bonneville cutthroat trout evolved in the Bonneville Basin of Utah, Wyoming, Idaho, and Nevada. Its primary ancestors were a population of lake dwelling cutthroat trout living in the late-Pleistocene aged Lake Bonneville. The Bonneville cutthroat trout is less vividly colored and has spots that are more sparsely and evenly distributed across the body than other cutthroats. Thought to be extinct in the 1970s, populations of the Bonneville cutthroat trout are now estimated to exist in around 35% of their historic range, including the nearby Weber and Provo Rivers. Like so many species, the native cutthroat trout of Utah are under significant pressure due to drought, habitat loss, disease, and competition with non-native species. Though only the Colorado River cutthroat is included on the Utah State Sensitive species list, conservation of all of Utah’s native cutthroat populations is a focal point for state wildlife resource managers. 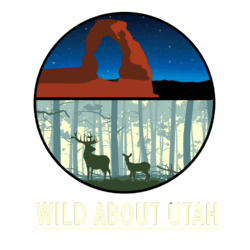 For Wild About Utah, I’m Anna Bengtson of Park City. Images: Courtesy USDA Forest Service, US Bureau of Land Management & Utah Division of Wildlife Resources. “2014 Utah Fishing Guidebook.” Utah Division of Wildlife Resources, 1 Jan. 2014. Web. 7 July 2014: http://wildlife.utah.gov/guidebooks/2014_pdfs/2014_fishing_low.pdf. “Bonneville Cutthroat Trout.” Utah Division of Wildlife Resources. n.d. Web. 7 July 2014: http://dwrcdc.nr.utah.gov/rsgis2/search/Display.asp?FlNm=oncoclut. “Bonneville Cutthroat Trout.” Native Trout Species. The Western Native Trout Campaign, n.d. Web. 7 July 2014: http://www.westerntrout.org/trout/profiles/bonneville.htm. “Colorado River Cutthroat Trout.” Utah Division of Wildlife Resources. n.d. Web 7 July 2014: http://dwrcdc.nr.utah.gov/rsgis2/search/Display.asp?FlNm=oncoclpl. “Cutthroat Trout.” Colorado Parks and Wildlife, n.d. Web. 7 July 2014: http://cpw.state.co.us/learn/Pages/ResearchCutthroatTrout.aspx. “Cutthroat Trout.” Utah Division of Wildlife Resources. n.d. Web. 7 July 2014: http://dwrcdc.nr.utah.gov/rsgis2/search/Display.asp?FlNm=oncoclar. “Cutthroat Trout (Oncorhynchus clarkii).” Natural Resources Conservation Service, 1 Jan. 2007. Web. 7 July 2014: http://www.nrcs.usda.gov/Internet/FSE_DOCUMENTS/nrcs143_010039.pdf. “Cutthroat Trout (Oncorhynchus clarkii) – FactSheet.” Cutthroat Trout (Oncorhynchus clarkii) – FactSheet. U.S Geological Survey, 14 June 2013. Web. 7 July 2014: http://nas.er.usgs.gov/queries/FactSheet.aspx?speciesID=890. “Endangered Species of the Mountain-Prairie Region.” U.S. Fish and Wildlife Service, n.d. Web. 7 July 2014: http://www.fws.gov/mountain-prairie/species/fish/bct/. “Fishes.” Utah Division of Wildlife Resources, n.d. Web. 7 July 2014: http://dwrcdc.nr.utah.gov/rsgis2/search/SearchSelection.asp?Group=OSTEICHTHYES&Species=VERT. 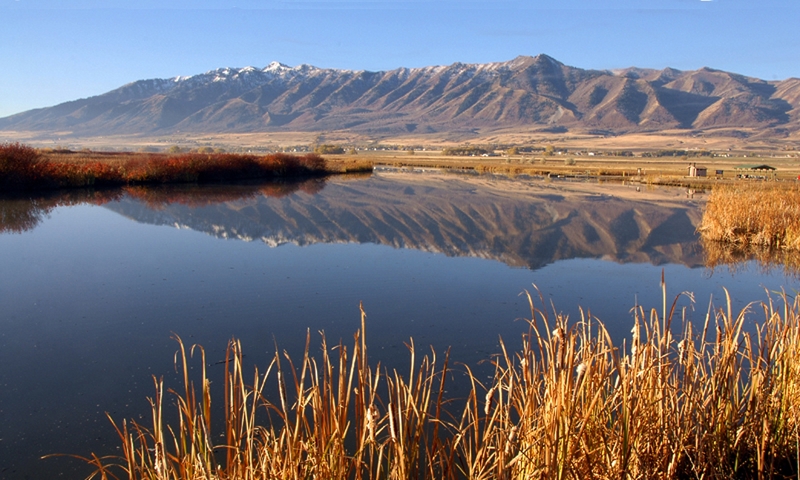 “Native Cutthroat of Utah.” Trout Unlimited Blog, 18 Dec. 2012. Web. 7 July 2014: http://www.tu.org/blog/native-cutthroat-of-utah. “Utah’s Native Trout.” Utah Fly Fishing Club, 24 Dec. 2011. Web. 7 July 2014: http://utahflyfishingclub.com/2011/12/24/utahs-native-trout/. “Yellowstone Cutthroat Trout.” Utah Division of Wildlife Resources. n.d. Web. 7 July 2014: http://dwrcdc.nr.utah.gov/rsgis2/search/Display.asp?FlNm=oncoclbo. Brown, Dylan. 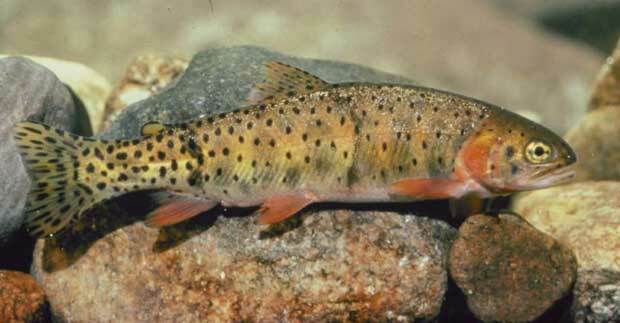 “Shocking habitat projects help increase native Cutthroat populations.” Standard Examiner, 14 May 2014. Web. 7 July 2014: http://go.standard.net/Recreation/2014/05/13/Shocking-habitat-projects-help-increase-native-Cutthroat-populations.html. Chorney, Chad. “For the Love of Cutthroat.” Trout Unlimited Blog, 29 Jan. 2013. Web. 7 July 2014: http://www.tu.org/blog-posts/love-cutthroat-trout.